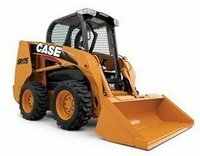 1700701 1500 CASE 1500 Uni-Loader Spare parts catalog. Operation and maintenance. Service manual. 1700702 1526 CASE 1526 Uni-Loader Spare parts catalog. Operation and maintenance. Service manual. 1700703 1529 CASE 1529 Uni-Loader Spare parts catalog. Operation and maintenance. Service manual. 1700704 1530 CASE 1530 Uni-Loader Spare parts catalog. Operation and maintenance. Service manual. 1700705 1530B CASE 1530B Uni-Loader Spare parts catalog. Operation and maintenance. Service manual. 1700706 1537 CASE 1537 Uni-Loader Spare parts catalog. Operation and maintenance. Service manual. 1700707 1700 CASE 1700 Uni-Loader Spare parts catalog. Operation and maintenance. Service manual. 1700708 1737 CASE 1737 Uni-Loader Spare parts catalog. Operation and maintenance. Service manual. 1700709 1737S CASE 1737S Uni-Loader Spare parts catalog. Operation and maintenance. Service manual. 1700710 1740 CASE 1740 Uni-Loader Spare parts catalog. Operation and maintenance. Service manual. 1700711 1816 CASE 1816 Uni-Loader Spare parts catalog. Operation and maintenance. Service manual. 1700712 1816B CASE 1816B Uni-Loader Spare parts catalog. Operation and maintenance. Service manual. 1700713 1816C CASE 1816C Uni-Loader Spare parts catalog. Operation and maintenance. Service manual. 1700714 1818 CASE 1818 Uni-Loader Spare parts catalog. Operation and maintenance. Service manual. 1700715 1825 CASE 1825 Uni-Loader Spare parts catalog. Operation and maintenance. Service manual. 1700716 1825B CASE 1825B Uni-Loader Spare parts catalog. Operation and maintenance. Service manual. 1700717 1830 CASE 1830 Uni-Loader Spare parts catalog. Operation and maintenance. Service manual. 1700718 1835 CASE 1835 Uni-Loader Spare parts catalog. Operation and maintenance. Service manual. 1700719 1835B CASE 1835B Uni-Loader Spare parts catalog. Operation and maintenance. Service manual. 1700720 1835C CASE 1835C Uni-Loader Spare parts catalog. Operation and maintenance. Service manual. 1700721 1838 CASE 1838 Uni-Loader Spare parts catalog. Operation and maintenance. Service manual. 1700722 1840 CASE 1840 Uni-Loader Spare parts catalog. Operation and maintenance. Service manual. 1700723 1845 CASE 1845 Uni-Loader Spare parts catalog. Operation and maintenance. Service manual. 1700724 1845B CASE 1845B Uni-Loader Spare parts catalog. Operation and maintenance. Service manual. 1700725 1845C CASE 1845C Uni-Loader Spare parts catalog. Operation and maintenance. Service manual. 1700726 1845S CASE 1845S Uni-Loader Spare parts catalog. Operation and maintenance. Service manual. 1700727 MB4,MB 94 CASE MB4,MB 94 Uni-Loader Spare parts catalog. Operation and maintenance. Service manual.